In early 1597, Antonio Neri turned twenty-one. He was in his final year of training for the priesthood in the Catholic Church. The war with the Ottoman Empire in Hungary was winding down and men were returning to Florence from the front lines, among them Don Antonio de' Medici, Neri's future benefactor. 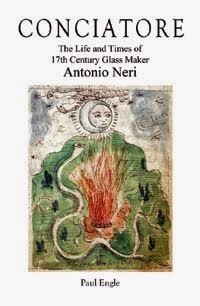 At this time, there is no indication of Neri's future activity as a glassmaker, but he certainly had been deeply involved in learning alchemy for several years. It is not surprising since his father was the personal physician to Grand Duke Ferdinando de' Medici and his grandfather was a celebrated barber-surgeon. He probably grew up seeing the chemical arts practiced on a daily basis. This same year, Antonio Neri's father, Neri Neri, was commissioned along with three colleagues from the physician's guild to make a complete revision of the Ricettario Fiorentino. This was the physician and apothecary's reference used throughout Europe and in Tuscany it carried the weight of law; every medical professional was required to own a copy and adhere to its prescriptions. The first edition had been published almost a century earlier; it was revised periodically to keep it current with the latest thinking and remedies. Reviewing the book's recipes is of course interesting. The final prescription, for example, is one for the age-old remedy of chicken soup. However, the preparation of this particular recipe with its raw juices would certainly make most modern patients turn a bit green. An attempt to look beyond the technical methods is also intriguing; we are rewarded with a glimpse into the personalities of the men who wrote the book. One of the authors in particular has a story that illustrates how shrewd maneuvering can be used for good, even in times when self-serving and corruption were endemic. Little information exists about these men, it would seem impossible to extract any meaningful insight into their personalities, but perhaps we can take a small step in that direction. Neri Neri's coauthor, Benadù, administered his financial gift to the Ospedale degli Innocenti with a large dose of shrewdness. The measures he took to ensure the purposeful use of his money, even after his death, reveal a man who cared a great deal about the less fortunate. 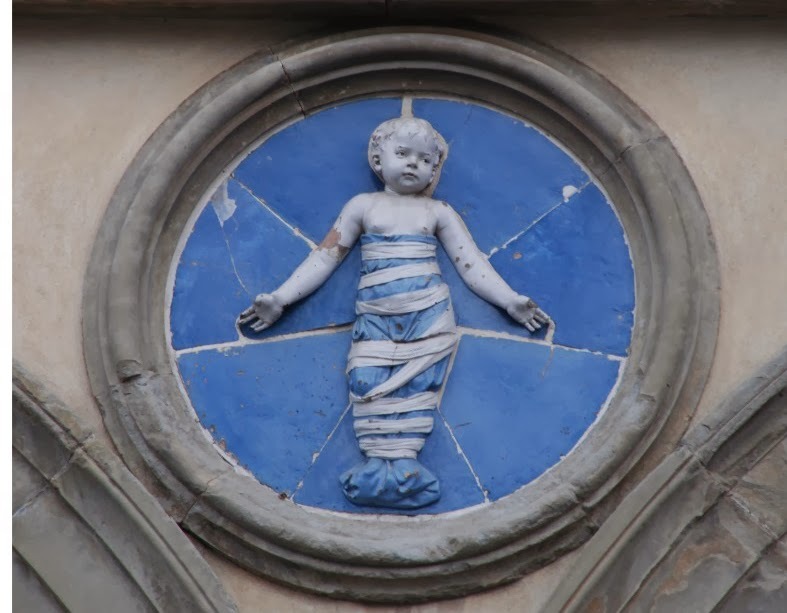 In the 1400s, the wealthy silk merchants’ guild started Innocenti to be responsible for the welfare of abandoned children. By the late 1500s, the orphanage struggled under a mountain of debt. Grand Duke Ferdinando made a concerted effort to improve the situation and it became a well run, efficient institution, although throughout its history, it was not without problems. Over centuries of operation, it had seen the abuse of children and exploitation by both parents and the government. Famine hit Tuscany on a regular basis and less of it was due to natural causes than one might imagine. The grand dukes tended to make large trade deals, with Spain and other states, which depleted supplies and drove the local price of grain beyond what poorer families could afford. In those hard times, the Ospedale degli Innocenti experienced overflows of abandoned children. It was discovered under Cosimo I de' Medici's rule that some desperate families had found creative ways to take advantage. Destitute mothers left their infants at Innocenti, where children were assured of a square meal, a warm bed and an education. The same mothers then sold their milk to the orphanage, in effect collecting a wage to wet nurse their own children. Florentine accountants invented double entry bookkeeping, and the Medici gave that innovation a good workout. They pioneered the use of municipal bonds, the purchase of which was sometimes made compulsory. At the time, they were a novel approach to fund a city’s development, and selling bonds under the banner of the orphanage was an early bit of marketing genius. It is unfortunate that the money often did not stay with the orphanage, but the obligation to pay off these debts did. The Medici often raided the accounts to pay for other projects both civic and personal. Under Ferdinando, the situation improved, but was far from stable. Through a clever maneuver, Benadù ensured his money went to the orphanage alone and not to bondholders. He left an inheritance for the day-to-day operation of Innocenti, putting control in the hands of the monks at the Badia Fiorentina monastery, where it was beyond the reach of greedy hands. Neri, Benadù, Rosselli, Galletti 1597. Giovan Battista di Nicolao Benadù (?–1603), not to be confused with Priest Giovanni Benadù from Lucca. For more on the Galletti family cf. Crollalanza 1878, p. 222. About Filippo Galletti cf. Zapperi 1994, pp. 50, 71; Liebreich 2005, pp. 67, 281. For letters to Giovanni, see ASR 1591. He set up a trust fund for his sisters and their female relatives, which was still functioning in the twentieth century. Cf. Arrigoni 1882, p. 34. Cardini 1968, p. 190. The Innocenti records identify Benadù as both physician and surgeon and his monetary gift played a supporting role in the continued operation of the facility (AOI 1603.) As mentioned above. Ferdinando II de’ Medici (1610–1670). Neri, Benadù, Rosselli, Galletti 1623. * This post first appeared here 15 Oct. 2014.